The size of a cell is intrinsicThe size of a cell is intrinsically linked with its genetic makeup, growth rate and other fundamental properties. What would happen if scientists could control the size of pathogens? That possibility isn’t completely outlandish: Stanford researchers have discovered a genetic “tuning knob” that can enlarge or shrink bacteria across a wide range — and this knob can be used to fatten up the bacteria to increase their susceptibility to certain antibiotics, as recently reported in Current Biology. 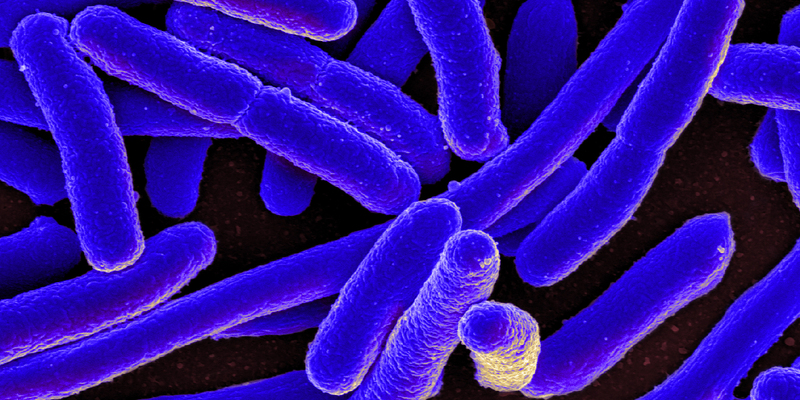 The researchers found that a single protein in E. coli, called MreB, acts as a master regulator of cell size by coordinating the construction of cell walls. So they manufactured many copies of the E. coli’s DNA, changing in each copy just one of the 347 letters in MreB’s genetic code. Using fluorescence-activated cell sorting, they then separated the individual cells with different sizes to create a library of cell-size mutants. The team used this library to study how size impacts a cell’s physiology, including how bacterium grow and survive. For instance, they treated the various E. coli mutants with several antibiotics and found that larger E. coli were more sensitive to the drugs. A larger cell has more surface area and that increases the drug uptake, they said in the paper. Fascinating. I imagine that as they continue this line of investigation, they’ll discover unexpedcted ramifications, too. It’ll be interesting to follow.